MECNO SERVICE operates in the global market since its creation in 1997 and is specialized in the construction, design and providing service of grinding machines for rails and turnouts on tramways, metros and railways lines. Since 2008, our company is also present in the monorail market, dedicated to designing and constructing of Translohr monorail turnouts and crossings. Strong of international patents the products of MECNO SERVICE are a guarantee of quality and innovation. MECNO SERVICE has two modern and well-equipped mechanical workshops in Salzano, near of Venice, over an area of 16,000 square meters that represents an important company resource for the design, construction and maintenance of its own grinding machines, monorail turnouts and crosses. In this space, there is a test rail, to constantly improve Mecno Service’s grinding machines and offer customers more efficient grinding performances at competitive prices. MECNO SERVICE can vaunt a steady growth over the years, which over time has garnered successes and appreciation. 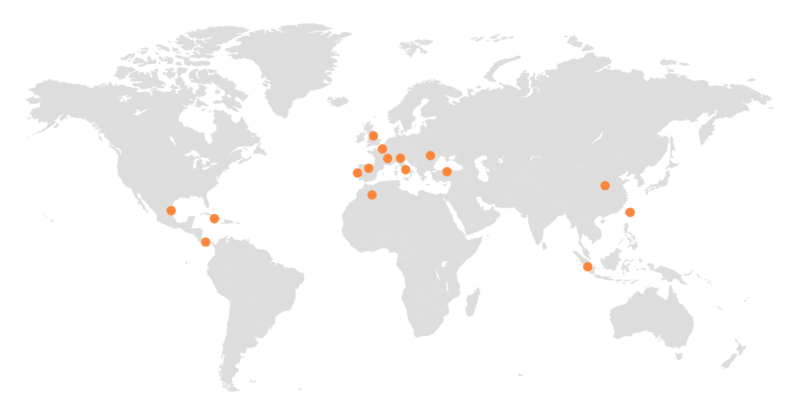 With the aim of expanding the market and sharing our knowledge, today Mecno Service has a constant presence in Europe, Asia, America and Africa.